This is a 17 ft. high single lane dry-only slide. Great for any event and for all ages. the schools really like this one. 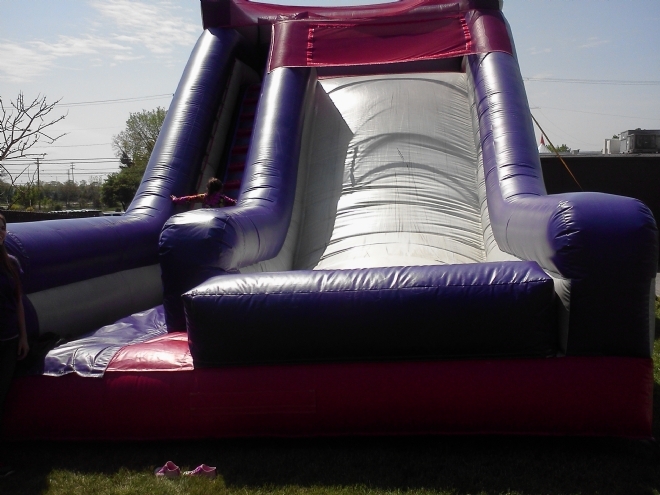 It is very easy to manage, kids climb up one at a time from the front, slide down and exit the same area.